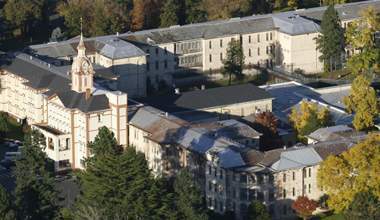 The chronically overcrowded and understaffed Oregon State Hospital has added 300 new employees in the past year, spurring notable improvements in patient care at the much-criticized psychiatric facility, OSH Superintendent Roy Orr said. Now, the 2009 Legislature faces a thorny question: Can the financially-strapped state afford to add hundreds more workers in the coming 2009-11 budget period, which begins July 1? And if a massive staffing infusion doesn’t materialize, will that cripple ongoing reform-minded efforts at the existing 126-year-old facility, as well as a planned $280 million replacement facility? The new 620-bed complex, described by state leaders as a world-class facility, is scheduled to open next year and become fully operational in late 2011. By all accounts, adequate staffing looms as crucial for the hospital’s success. But stark budget realities will make it difficult for legislators to come up with enough money to pay for the kind of staffing infusion — anywhere from more than 500 to nearly 1,000 new employees — deemed necessary by Orr and other officials. The issue will start to draw sharper focus today when Orr gives testimony before legislative budget writers. As it stands now, the state hospital employs about 1,300 workers at its campuses in Salem and Portland. Gov. Ted Kulongoski’s recommended 2009-11 budget earmarked $43 million for state hospital staffing, far below the $124 million outlined last November in a proposed budget package unveiled by Orr and the state Department of Human Resources. If legislators go along with the scaled-down staffing level recommended by the governor, Orr said the hospital would be able to hire about 540 new employees in the upcoming two-year budget period. That’s far below the nearly 1,000 positions Orr previously deemed necessary to provide the kind of patient care demanded by the federal Department of Justice, which harshly criticized hospital care and conditions in January 2008. “It was reduced given the condition of the economy and the state budget,” Orr said, referring to the governor’s proposed funding level. “We’re certainly not isolated from those things. Senate President Peter Courtney, D-Salem, said hospital staffing remains a high priority but he can’t make any promises about specific increases for 2009-11. Where does that leave state hospital staffing? The Legislature previously agreed to spend $458 million to replace the dilapidated hospital in Salem and build a second hospital in Junction City. The state will use bonds to finance construction of a 620-bed hospital in Salem and a 360-bed hospital in Junction City, which is scheduled to open in 2013. State funding for additional hospital staffing in the 2009-11 budget period, which starts July 1, would come from the general fund budget. Concerns about potential costs for state hospital staffing have been simmering since Orr told legislative budget writers in November that the Department of Human Services intended to request $124 million to hire nearly 1,000 new employees in 2009-11. At the time, legislators used words such as staggering and sobering to express their reservations. Since then, the deepening economic recession and its toll on the state’s finances have intensified doubts about the state’s ability to pay for hundreds of additional therapists, nurses and support staffers. In recent talks, state officials have discussed the possibility of taking a longer-term funding approach to state hospital staffing. Under one scenario, the kind of staffing envisioned by Orr would occur in phases, with partial funding in the 2009-11 budget, followed by another round in the 2011-13 budget. Courtney estimated that it could take multiple two-year budget cycles to reach the staffing levels sought by the hospital. Orr said it’s too early to say how staggered infusions of extra staffing might effect operations, patient care and safety at the new psychiatric hospital. Orr said the hospital sorely needs more workers before the new hospital opens. Large staffing increases are necessary to reduce the hospital’s enormous reliance on employee overtime — voluntary and mandatory, Orr said. The hospital currently is on track to spend about $25 million in overtime pay during the 2007-09 budget period, which ends June 30.